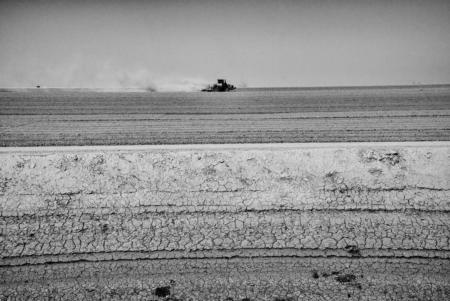 Corcoran California, August 27, 2014: A tractor tills dry land near the Tulare Lake basin. © Matt Black. During the conference I had the opportunity to moderate a panel of the 6 speakers from the characterizing session. This panel illuminated the way history (both sociological and climatological) has influenced the way we understand and deal with current scarcity. One of the most poignant discussions during the panel occurred between Pat Mulroy, former head of the Southern Nevada Water Authority, and Richard Howitt, professor emeritus of resource economics at UC Davis about collaborative vs. free market strategies for addressing scarcity. The conference also provided valuable speaking experience as I was asked to deliver the closing comments from our cohort of planners. In a water-scarce West of the future, who will be hit hardest? Is California’s drought a ‘new normal’? Our work continues into 2015-2016. 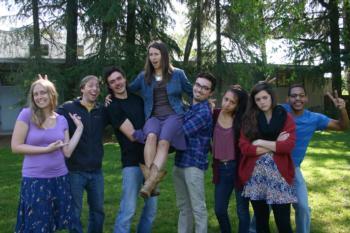 We are mentoring the next cohort and helping them to plan and implement their conference. We are also working on a team publication, looking at the way clearly defined interdisciplinary collaborations can provide potential solutions to gaps in California’s water management.